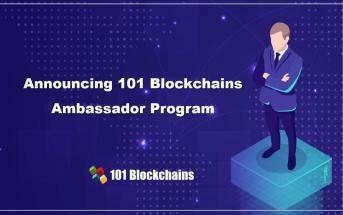 We at 101blockchains.com want to make blockchain accessible to everyone. That’s why we work hard behind the scenes to bring you the best content. We also know how important it is to visualize the concepts behind this revolutionary technology. For the past month or so, we are creating beautiful blockchain infographics. 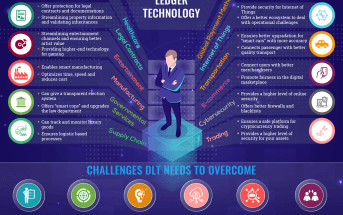 In this article, we will list the four blockchain infographics we have created. They include the following. We will be covering more infographics shortly. So, don’t forget to bookmark this page for more awesome infographics in future. 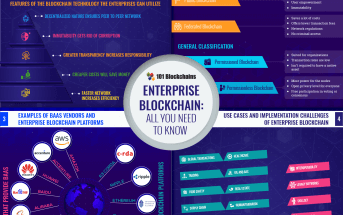 Blockchain definitions infographic covers all the basic definitions you need to know. If you are a newbie, who wants to learn about this new technology. 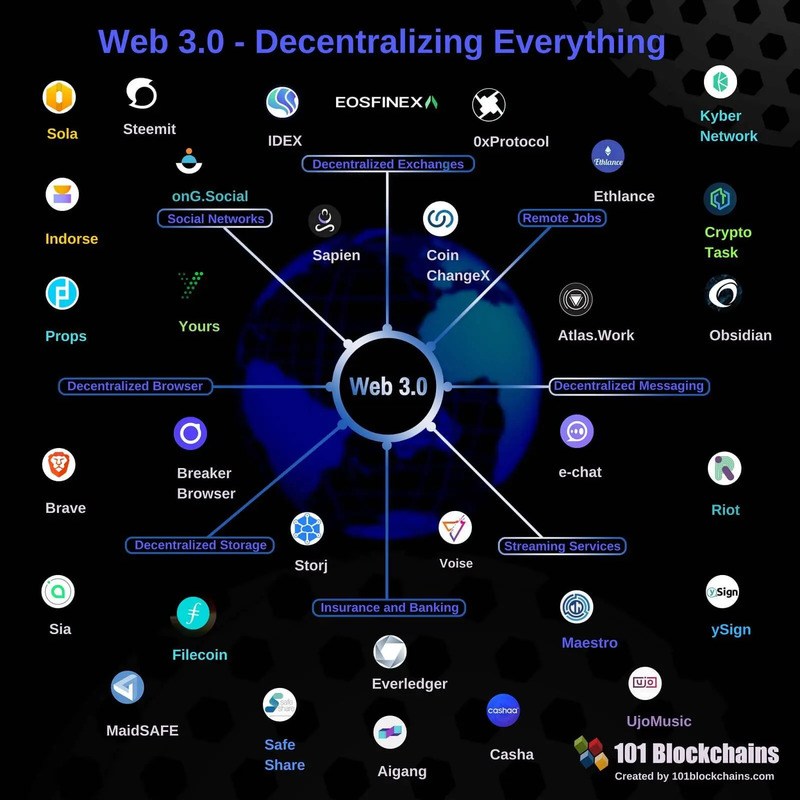 We included definitions such as Airdrop, Altcoin, Bitcoin, Bounty, ERC-20, Ether, Cryptocurrency and much more are covered within the infographic. We have also included a detailed definition of each term so don’t forget to visit the article. Also, you will find it easy to jump around the article thanks to the top index. We will keep adding more definitions in future, so don’t forget to bookmark the article with the infographic for future references. For the complete list of blockchain definitions, visit our blockchain definitions article. The blockchain is slowly and steadily transforming the world around us. It is currently used in almost every vertical including cybersecurity, data management, healthcare, financial services, media and much more. We cover some unusual blockchain use cases such as Brave; a blockchain powered web browser, MedRec – a healthcare app. Also, each of the use-cases is explained in a neat format of problem/need and solution. We also listed status, website, blog, and category for each project. 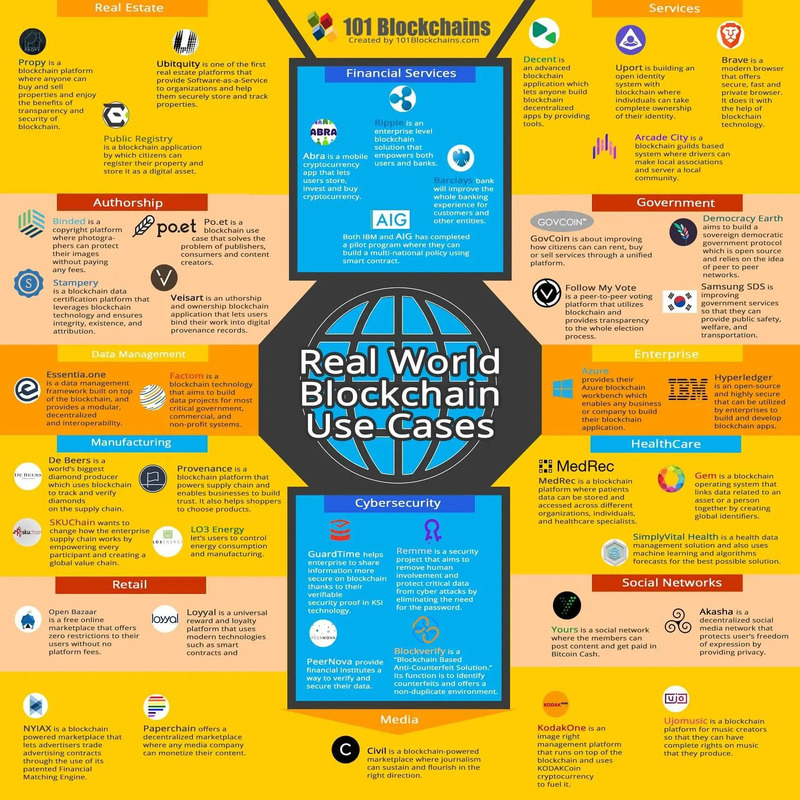 Check out the complete list of real-world blockchain use cases. 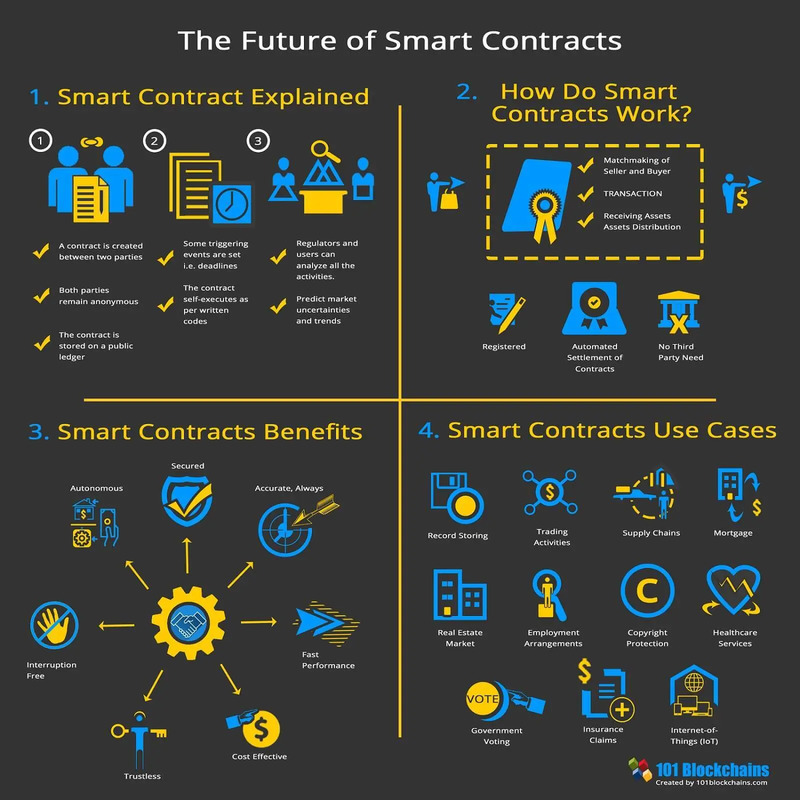 Learn all you need to know about smart contracts. EOS mainnet just launched a few weeks ago. This means that a lot of EOS dApps will become operational in the coming days. Also, EOS has gotten its own share of skeptical opinions and critics from the community. To ensure that you get the best list of EOS dApps, we listed 44 dApps as of June 2018. 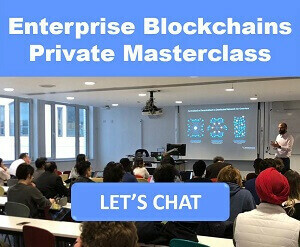 The dApps are divided into 13 categories including education, exchange, eCommerce, healthcare and much more. We have covered each EOS dApps features, status, website, blog, and category. EOS is big. They raised a total of $4 billion in their one-year long ICO. Also, they are building the EOS dApp ecosystem by investing $1 billion in it. 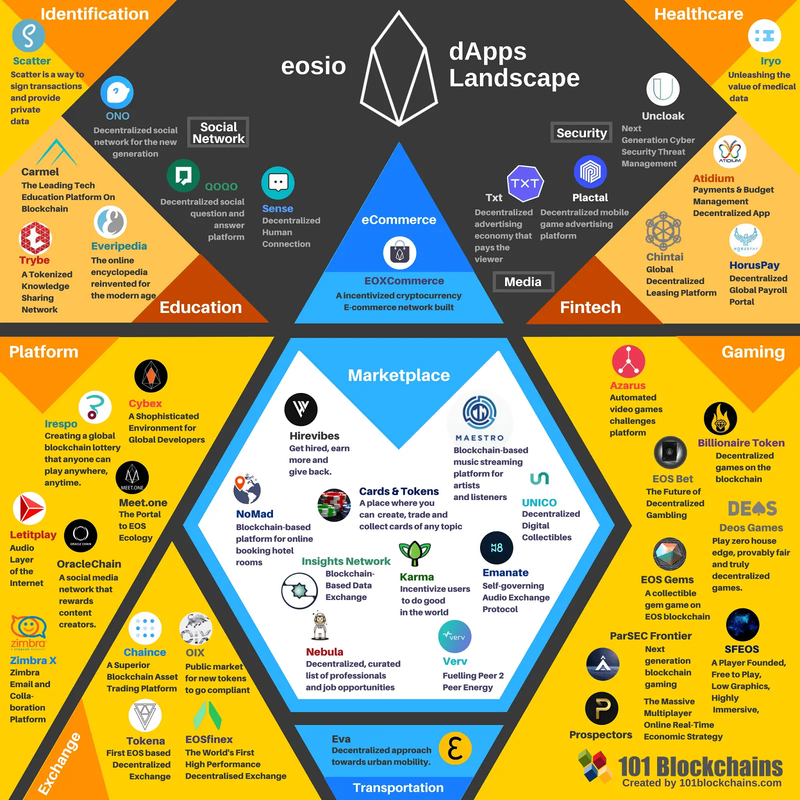 You will also find an amazing EOS dApps infographic that will give you an eagle eye view of the best EOS dApps out there. For more details, check out the complete list of EOS dApps ecosystem. NEO which is also known as Chinese Ethereum is a promising cryptocurrency. 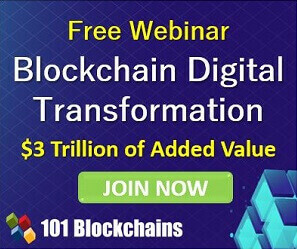 It provides a blockchain platform which offers both smart contracts and dApps. One major feature that it offers is the ability to program and develop dApps in any programming language. This is a key factor behind a lot of NEO dApps out there. 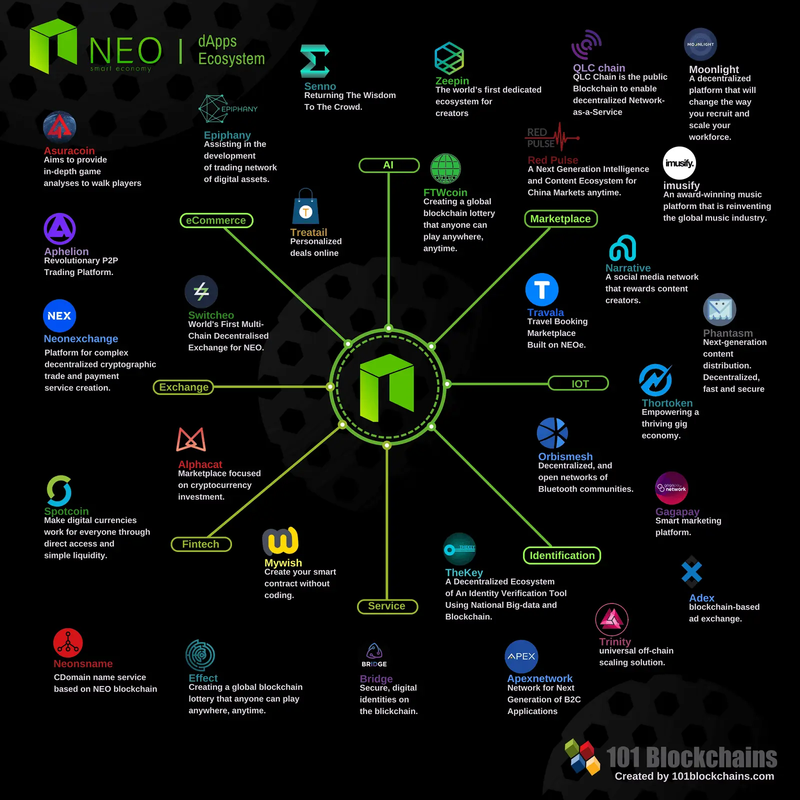 In this article, we have shared a detailed NEO dApps ecosystem infographic. In total, we have covered 29 dApps. These dApps are classified into 12 categories which include media, service, marketplace, FinTech and much more! We have covered each NEO dApps feature, website, medium blog link, and category. For more details, check out the complete list of NEO dApps ecosystem. 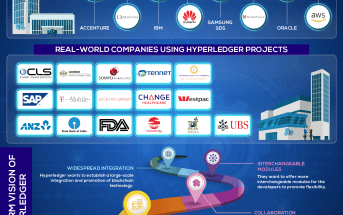 Our List of Blockchain Infographics – Your Suggestions? 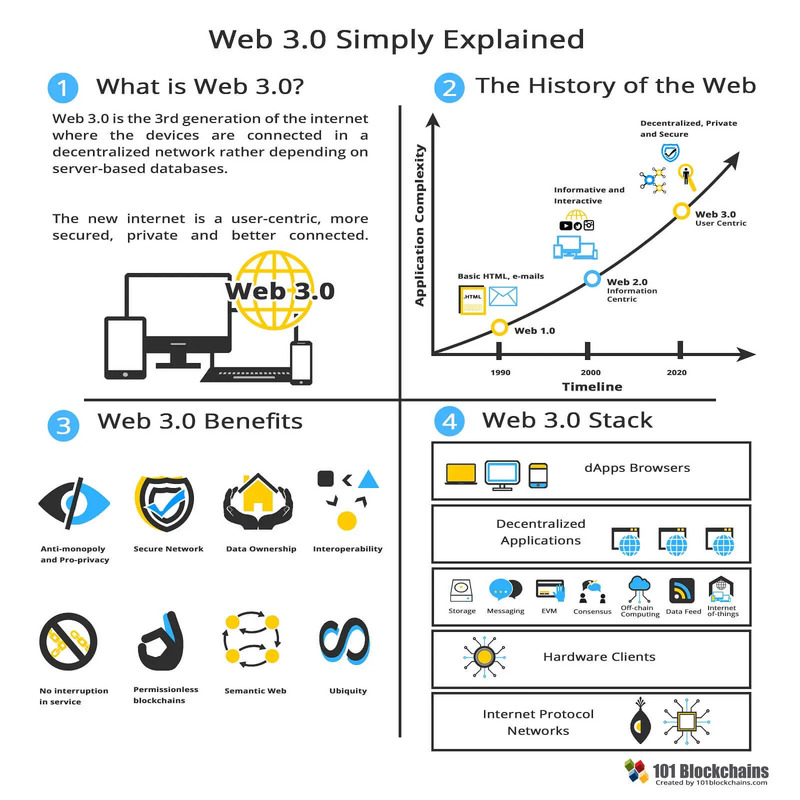 This leads us to the end of the blockchain infographics. So, what do you think about the above infographics? Do you want us to cover more? Comment below and let us know. We are listening!